Toronto (ONTARIO) July, 2010 – In the world of cosmetic skin treatments, bigger is not always better – just ask Dermatologist Dr. Lisa Kellett. Dr. Kellett’s clinic, DLK on Avenue is one of the first in North America to offer this innovative new skin rejuvenation treatment that is derived from the scientific process of Mesotherapy, which delivers substances and nourishment to the skin using small injections in microscopic quantities. It was in the Spring that Dr. Kellett found the answer to this question, while doing research on specialized treatments that would offer multiple benefits to address these concerns. “Up until now, it was difficult to find one product or treatment that would not only protect the skin from drying out and becoming dull but also address and prevent the onset of wrinkles and fine lines.” As the treatment uses two unique products, it is able to boost the hyaluronic acid and glycerol contained in the upper layers of the skin (the stratum corneum and the dermis) and prevent future water loss by nourishing and repairing these areas. The skin regains its former radiance, tone and elasticity, helping patients recover and maintain the radiant complexion of their youth. As the ever-evolving skin care industry will attest, it is sometimes better to think outside the box when treating multiple issues. “The Anti-Aging Hydration Treatment is the perfect harmony of science and nature as it demonstrates that the two can co-exist with mutually beneficial results.” For now patients can confidentially rely on Dr. Kellett to do their skin care homework. “It’s one thing as a Dermatologist to say skin is the body’s largest organ, it’s another to get out there and treat as much of it as you can,” says. Dr. Kellett. • Made with ingredients naturally occurring in the human body. 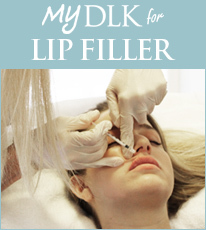 Patients are currently able to schedule their own personal Consultation and Treatment at DLK on Avenue. Treatments begin at $600. Located in Toronto and founded by Dermatologist Dr. Lisa Kellett, DLK on Avenue is Canada’s premiere state-of-the-art skin care facility, delivering the highest standard of clinically effective, medically directed skin care treatments.